VIEWS-VIEWS-VIEWS!! Truly a hidden gem! 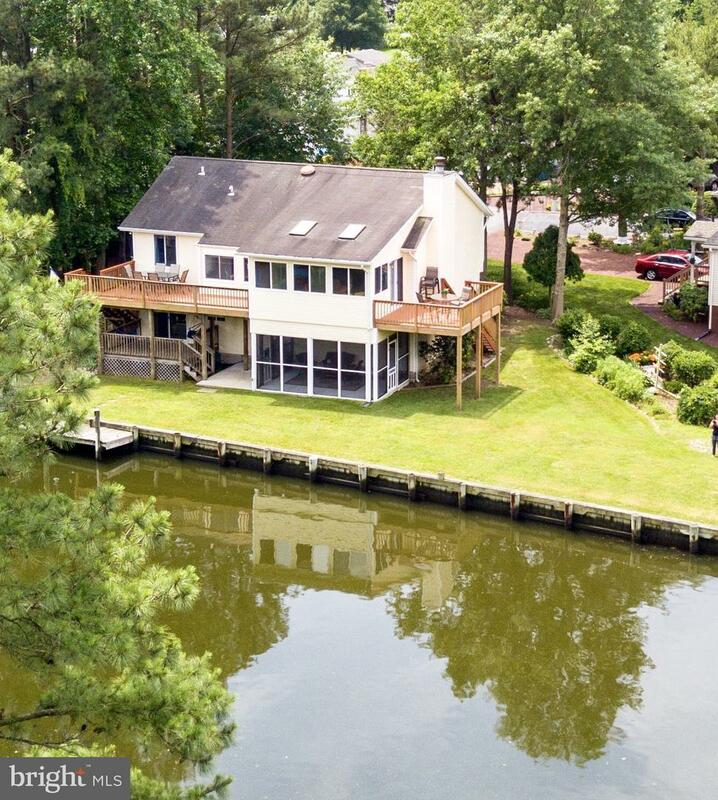 Location is 1 canal back from St. Martin's River w/ 129' of bulkhead that provides EASY DIRECT BOAT ACCESS in approx. 6' water depth to St. Martin's River, the Bay & Ocean! Unlike many of the other local waterfront homes there are NO LOW BRIDGES during water travel to contend with at low tide. 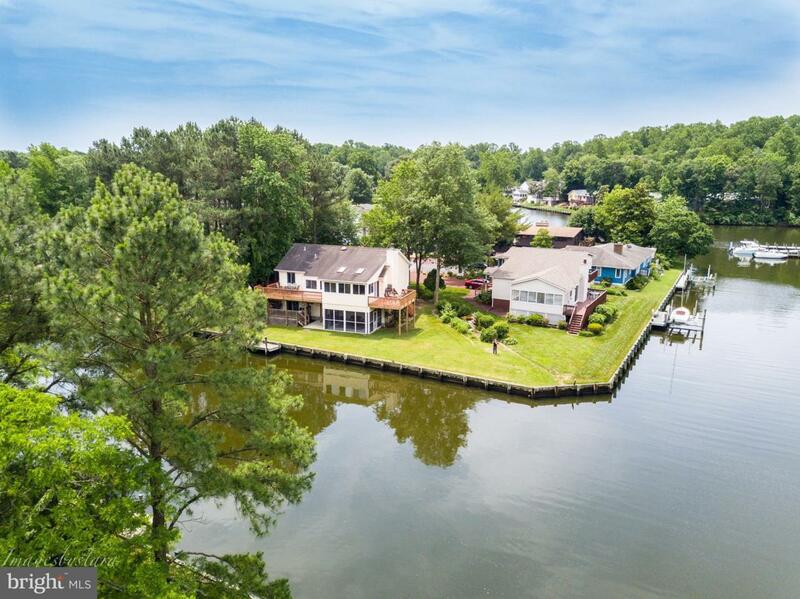 Location access when buying on the water is EVERYTHING! Serenity of this large lot makes you say "ahhh relaxation" upon arrival. Interior split plan gives unparalleled privacy for company staying either up or down stairs. 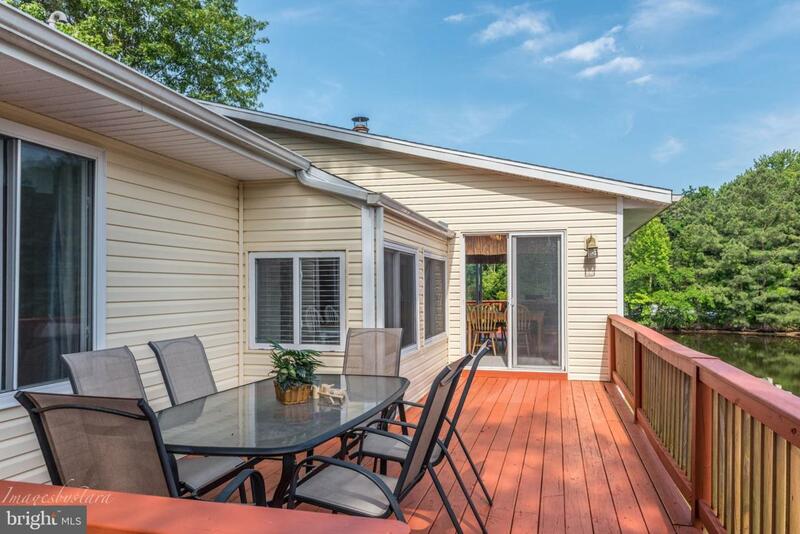 You'll enjoy entertaining with the 3 outdoor living decks as well as a water side lower level screened porch. Imagine yourself with a good book enjoying the tranquility of seeing nature change its seasons and the abundant waterfowl across the canal near the wooded park (that will not be developed or built upon). 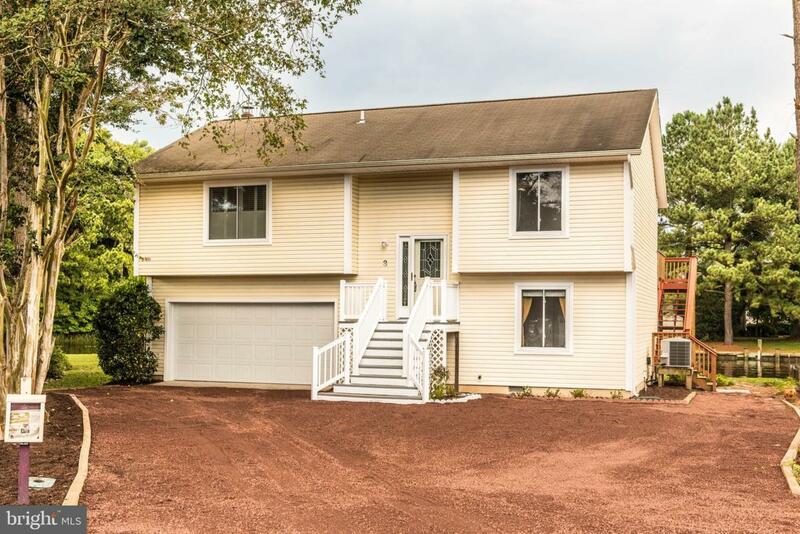 This 4 bedroom, 3 bath home feels welcoming to all & was remodeled in 2010 with new windows and doors, new interior/exterior units HVAC and siding. Extended visitors? Separate bedroom, full bath & spacious family room downstairs is perfect for kids or guests. BOTH the downstairs & upstairs family rooms take in all of the glorious views! The stainless steel refrigerator and dishwasher are only 2 years old, and the washer and dryer are only 6 years old. Interior features include an enclosed sun room perfect for large gatherings for meals, Plantation shutters in master bedroom and fireplace. STORAGE FOR TOYS! An oversized 2 car garage offers plenty of room for bikes, paddle boards, kayaks and fishing rods for the outdoor enthusiast. This oversized quiet cul-de-sac lot is close to the White Horse Park, playground, walking trails and community pool. A 1 year buyer home warranty will be provided with acceptable offer.